Posted on March 30, 2013 | 4031 views | Topic : Featured, Property News. 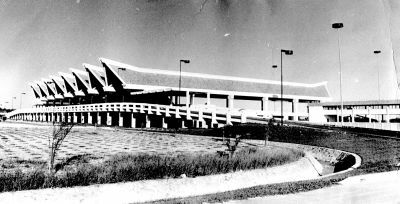 Point of arrival: The Penang Airport in its early days. 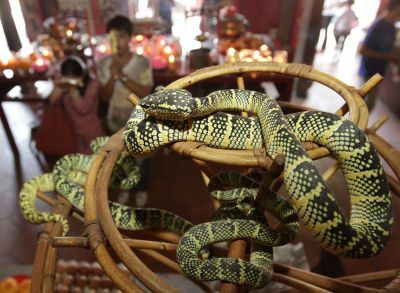 Still popular: Devotees offering prayers at the Snake Temple. > KK Tan: I have always wondered why Francis Light is regarded as the founder of Penang. Surely, there were already locals on the island before he landed on the island. Chun Wai: I am not a historian but merely a student of history. This has always been a controversial subject, depending on which school of thought you subscribe to. But conventionally, the understanding is that Light was the first person to set up a proper system of administration and governance after his arrival. The legal, financial and security systems, for example, had to be properly set up to allow trading to be carried out as Penang had become a port by then. By having these systems in place, it attracted more traders to Penang and conduct business with the assurance that everything will be properly documented. > Another reader, tourist Jeff Black, wants to know the origin of the name Batu Ferringhi, where he often stays when he comes to Penang. Chun Wai: According to what has been reported, the word ferringhi is said to originate from the Malay term for a person of Portuguese descent, but could also be taken to mean all westerners. Some said Batu Ferringhi also meant the rocks where the western foreigner landed. > Jeffrey Leong asked for some information about Chowrasta Street along Penang Road. Chun Wai: Chowrasta is an Urdu word which means “four cross roads”. In fact, the Chowrasta Market is located within the area flanked by Chowrasta Street, Tamil Street, Kuala Kangsar Road and Penang Road. Known to Hokkien-speaking Penangites as kelinga ban san or Indian market, it used to be dominated by Tamil Muslim traders.